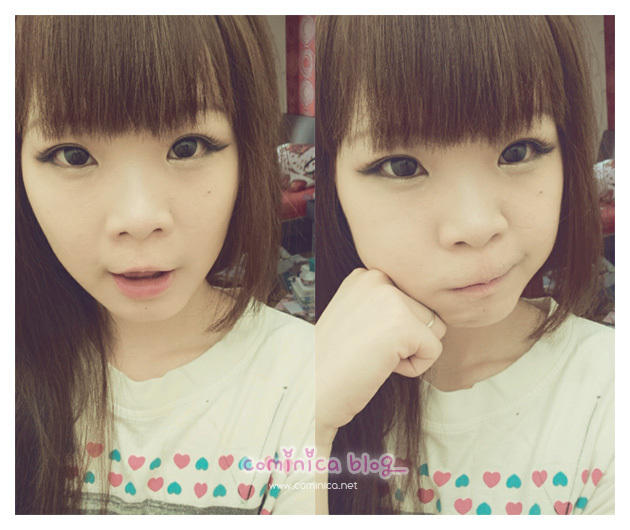 I hope you like this tutorial, please take note that this is the way I express Ulzzang make up. Other people may has different style. I use eyelid tape on my right eye to make my eyes look even and balance. 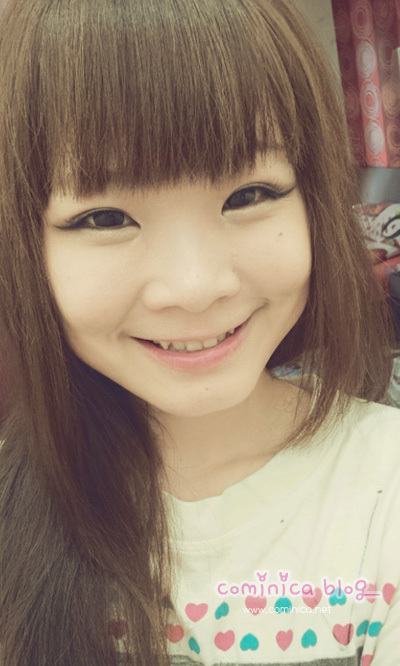 I use Etude House False lashes here, I've postponed the review for so long XD HAAHAHA, because I never use it again. It's not like the quality is bad, but this false lashes is has a natural long look, which I think suit Korean style make up than Japanese. ✩ the band is black and thick, but that;s not a big deal, it's not hard to bend. 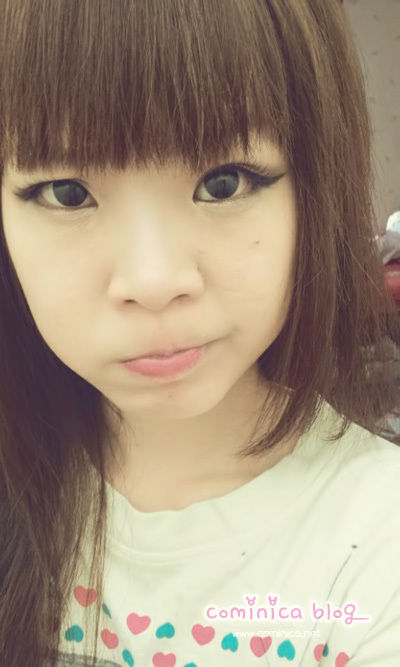 Do you think this make up is Ulzzang enough? HAHA All pictures took with my phone. Pretty<3 & you already have nice skin~ it looks so supple<3 I also like how you have that smiling look to your eyes! It's very ulzzang-esque. bakal gw coba nih hihihihihi..
great tutorial hun and you look very pretty with or without make up! <3 your eyes kind of reminds me of CL's from 2ne1, really cute!! and I know it's totally random but I love the heart patterns on your shirt teehee!! I'm always love your tutorial video, thanks for sharing dear :) You look cute! I love your eye make up here*^* Is so glam! Nice tutorial. You look super cute like always. 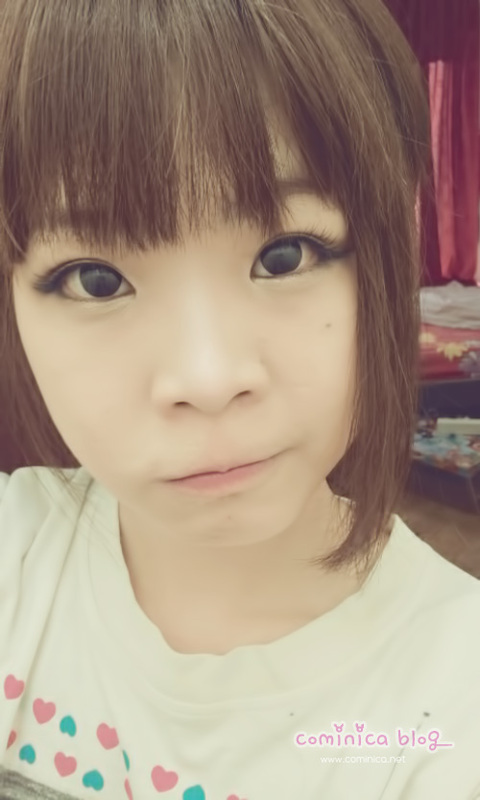 comi cute looh ulzzang look nya. take care yaa <3 . thaaank youu ^-^ this does actually mean so much to me since I used to have...not so nice skin :3 and yours doesn't look bad at all! such a pretty gal (or here:uzzlang ;D) nice tutorial! Ooo this look is so natural!!! :O I like your lenses. <3! You are so cute!! :D wow the eyelashes are cute and natural, i shud get them. I saw this on youtube a while ago :D I think it's really pretty and suits you well! Awww!~ you look soooo cute! You are soo cute.. nice make up.. I just share your photo on my twitter..